Humor in the serious realm of psychotherapy? This lively presentation, filled with anecdotes and clinical illustrations, will explore the rationale for and practical application of humor in cognitive therapy. Both cognitive therapy and humor can create change in the central aspects of human experience—cognitions, emotions, behaviors, and physiology. The presenter will explore how humor can be a powerful tool for both diagnosis and treatment, and will differentiate between empathic and hostile styles of humor. With Steven Sultanoff. This workshop focuses on the specific use of cognitive-behavioral strategies as an adjunct to the many treatment modalities of family therapy. It offers a basic overview of the theories of cognitive-behavioral therapy, particularly as it applies to families. Participants will learn first-hand techniques and strategies for working with difficult families and how to integrate these strategies with their respective modes of treatment. The presentation is followed by a videotape that demonstrates the implementation of techniques and interventions. This workshop focuses on the specific use of cognitive-behavioral strategies as an adjunct to the many treatment modalities of couples therapy. It offers a basic overview of the theories of cognitive-behavioral therapy, particularly as it applies to couples. Participants will learn first-hand techniques and strategies for working with difficult couples and how to integrate these strategies with their respective modes of treatment. The presentation is followed by a videotape that demonstrates the implementation of techniques and interventions. Clinicians are very likely to encounter patients in their clinical practice that experience both anxiety and medical illness. Sometimes differentiating the symptoms of each can become extremely difficult and can serve to exacerbate either condition. This workshop will introduce some of the cognitive-behavioral techniques that are used in helping clinicians differentiate symptoms and also intervene, providing patients with skills for managing their anxiety, as well as their medical illness. This workshop focuses on the specific use of cognitive-behavioral strategies as an adjunct to the many treatment modalities of couples’ therapy. 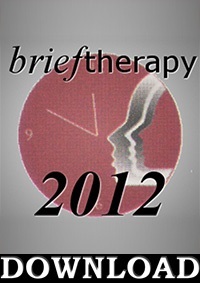 It offers a basic overview of the theories of cognitive-behavioral therapy, particularly as it applies to couples. Participants will learn firsthand techniques and strategies for working with difficult couples and how to integrate these strategies with their respective modes of treatment. The presentation is followed by a videotape that demonstrates the implementation of techniques and interventions. Ernest Rossi, PhD, Roxanna Erickson-Klein and Kathryn Rossi review the case work of Milton H. Erickson, MD in counseling, psychotherapy, therapeutic hypnosis and rehabilitation as evidence-based cognitive behavior therapy to treat anxiety, depression and trauma. This experiential workshop explores the timeless nature of the work of Milton H. Erickson, who substantially influenced the manner that psychotherapy is practiced in the 21 century. Cognitive Therapy has been extended in recent years to the treatment of severe mental disorders, such as bipolar disorders, schizophrenia and anorexia nervosa. This workshop will focus on strategies for relieving problems associated with severe disorders. Participants will be expected to present clinical problems and role-play patients illustrative of the specific problems that they encounter.